We are a member of ASCO. MW Medical is started in 2002 by 2 doctors to look at ageing in place and grace. MW Medical strives to bring solutions to the graying population. We believe that as healthcare professionals, we are 'friends' and 'mentors' to our patients. As such, MW Medical presents an alternative to all our patients. Patients can choose to remain at home with their loved ones even when they are old and sick. In order to make this alternative viable, MW Medical creates processes that bring competent hospital care to the home. 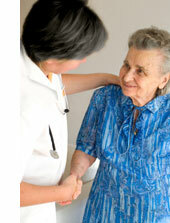 Premier home medical services were started in 2003 with Mobiledoctor, Mobilenurse and soon after by Mobiletherapist. Mobiledoctor became the first licensed clinic to specialize only in home care in 2003 and provide 24 hour islandwide housecall services. MW Medical recognise right from the start that patients will only benefit from our care if the service is a 24 hour service to mimic the level of care in the hospitals. Many tourists and young executives find our service complete and convenient. Treatment, diagnosis and administration are all performed in one visit. Hotel calls are done so that the tourists can be nursed in the hotel. Many travel insurance also recognize the services rendered by Mobiledoctor. MW Medical has become synonymous with 24 hour emergency care. Geriatric patients, oncology patients, orthopedics patients will find Mobiledoctor and the other services very useful even after they are discharged to home. The mobile services help our patients adjust from hospital to home environment and make suggestions on home modifications when necessary.